BELLE FOURCHE | Elizabeth Thurston was born in Johnson City, Tennessee, on May 28, 1941, the oldest of two daughters. She passed peacefully in her home on Friday, April 12, 2019. She married the love of her life, Donald Thurston, in Cleveland, Ohio, in 1963. They lived for a few years in Columbus, Ohio, before making their home in Belle Fourche. Beth and Don successfully operated Tri-State Veterinary Clinic in Belle Fourche for 20+ years. She loved the community and all the close friends that were so dear to her. Although she enjoyed the many places that she visited, her heart was always in the community of Belle Fourche. Her greatest joy was being a loving mother and grandmother to her four children and eight grandchildren. The family gathered every year in their favorite spot, the Grand Tetons in Wyoming. As the family grew and relocated, gathering in the Tetons provided that sense of family that Beth so cherished. Beth taught her family and friends to enjoy the little things in life. She loved the feel of warm sunshine on her face, found the beauty in the birds that summered in her backyard, and was grateful for sitting quietly on her patio listening to the sounds of summer in her beloved home. She quietly watched her family grow up in her typically understated manner, allowing the focus to always be on them. She reveled in her family’s successes, playing an integral part, never needing recognition for the guidance, support and love that ensured each person achieved their dreams. Beth was preceded in death by her husband, Donald R. Thurston, and her parents, Donald and Mildred Alexander. She is survived by her children, Stacy Thomas, Paradise Valley, Arizona, Julie (Joe) Dahinden of Bozeman, Montana, Matthew (Danielle) Thurston of Solvang, California, and Jennifer (Jason) Fox of Flagstaff, Arizona; her sister, Nancy Alexander of Louisville, Colorado; many grandchildren, nieces and nephews. A Celebration of Life will be on May 28, with details to follow. Any memorials may be made to Tri-State Museum Foundation, 415 5th Ave., Belle Fourche, SD 57717. SPEARFISH | Jef Mattern, 57, died April 12, 2019. Visitation will be from 5-7 p.m. April 17, at Fidler-Isburg Funeral Chapel. Funeral services will be at 10:30 a.m. April 18, at Our Savior’s Lutheran Church, with visitation one hour prior. RAPID CITY | Doreen Mae Amiotte, 54, died April 10, 2019. Memorial services will be at 11 a.m. April 17 at the St. Isaac Jogue’s Catholic Church in Rapid City. Burial will be at 12:30 p.m. April 17 at Black Hills National Cemetery near Sturgis. DEADWOOD | Ernest Richards, 76, died Friday, April 12, 2019. RAPID CITY | Julia Lynn Broer, 59, died on April 12, 2019, after a courageous battle with Amyotrophic Lateral Sclerosis (ALS), also known as Lou Gehrig’s disease. Julie, daughter of Kent and Jean (Maki) Berck, was born in Hastings, Nebraska, on July 9, 1959. She lived the first 17 years of her life on their family farm. She loved being a “country girl” and farm life gave her the opportunity to enjoy gardening and all of her animals, including horses, which became a lifelong passion. She got her first horse at age 6 and she continued raising, training and riding throughout her life. Julie graduated from Adam Central High School near Hastings in 1977 and was class valedictorian. After graduating she pursued a career in nursing, which began with her earning her B.S.N. Degree (University of Nebraska) and M.S.N. Degree (University of Wyoming) with honors. Her career encompassed several areas of nursing, including supervisory positions, teaching and home health. She loved nursing and especially enjoyed the aspects of it that gave her the opportunity to work directly with patients. On July 10, 1993, she and Gerald Broer were married at the Custer Peak Lookout. On that beautiful day, Pastor Dwayne Knight performed the ceremony. Often recalled that day was the incident when Dr. Knight was trying to find the exact spot he wanted to stand to officiate, while almost falling off the edge of the mountain. Shortly after her marriage, Julie designed their beautiful home. After it was built, she also did a large portion of the finish work. The beautiful landscaping was designed by Gerry. Julie, who was a Master Gardener by then, helped to maintain its appearance. Julie enjoyed tending her vegetable, flower and rock gardens. In addition to working as a nurse full time, Julie did most of the accounting for their landscaping business for many years. A few years ago, she developed a successful saddle fitting business, which she intended to do for her retirement career. Julie enjoyed traveling and in particular, loved her visits to Mexico, Canada, China, Alaska, and her many visits to Florida and Arizona. It was said many times that Julie never met a stranger. Her beautiful smile will be dearly missed and she will be remembered as a woman of strong principles, faith, graciousness, humor, and unyielding fortitude. She is survived by her husband, Gerald; parents, Kent and Jean Berck; beloved son, Phillip; numerous aunts, uncles, and cousins; and special friends, Lois Molko, Mary Freidel, Janice Schardin, and Jo Ann Gamble. Jo Ann shared Julie’s love and interest in horses, as well as being her cousin. They spent many happy hours together working with their horses and solving equestrian problems. Services will be at 2 p.m. on Tuesday, April 16, 2019, at Canyon Lake United Methodist Church in Rapid City, with Pastor Kevin Kloster officiating. Inurnment will be at Mountain Meadow Cemetery, near Roubaix Lake, at a later date. Memorial gifts may be given to Canyon Lake United Methodist Church in Rapid City. An online guestbook may be signed at kirkfuneralhome.com. RAPID CITY | Ilene Sharkey, 78, died April 11, 2019. Visitation will be from 5-7 p.m. on April 17, at Calvary Lutheran Church. Services will be at 2 p.m. on April 18, at the church. Burial will be at Mountain View Cemetery. RAPID CITY | Daniel “Dan” Geyer died April 8, 2019. He was in the U.S. Navy. Services will be at 2:30 p.m. on April 15, at Black Hills National Cemetery near Sturgis. Vern Halvorson was born on July 6, 1929, to Victor Norman Halvorson and Emma Louella (Gullickson) Halvorson of Sinai, SD. The first of five children, he was born in Arlington, SD. Vern is survived by his wife, Karen; his daughter, Ruth Ann (Nathan) Simpson; stepdaughters Ranee (Todd) Fairbanks and Robin (Mark) Lieberg; stepson, Bob Johnson; three brothers, Curtis (LaVonne) Halvorson, David (Lois) Halvorson and Kenneth (Linda) Halvorson; his sister, Doris (Darrell) Autio; brothers-in-law, Jim Collier and Gordan (Vernie) Stoddard; grandchildren, David Simpson, Sean DeWitt, Haley Johnson, Jordan Marschke, Sydney Johnson; great-granddaughter, Willow Olivia DeWitt; and numerous nieces, nephews and cousins. He was preceded in death by his parents; his first wife, Jean; brothers- in-law, Morris Stoddard, Leonard Stoddard, Darrel Stoddard, Jim Stoddard; and sister-in-law, Ruth Ann Nieman. Funeral services will be at 3 p.m. CDT on Monday, April 15, at Kozlak Radulovich Funeral Chapel, 13745 Reimer Drive, in Maple Grove, with visitation one hour prior. This summer, at a time yet to be decided, Vern’s ashes will be inurned at Fort Meade National Cemetery near Sturgis, SD. There will be an announcement in the Rapid City Journal when a time has been decided. RAPID CITY | Doreen Mae Amiotte, 54, died April 9, 2019. RAPID CITY | Peggy J. Avery, 88, died April 12, 2019. Visitation will be from 5-6:30 p.m., with a Prayer Service at 6:30 p.m. on April 17, at Kirk Funeral Home. Mass will be at 10 a.m. on April 18, at St. Therese Catholic Church. Burial at Black Hills National Cemetery near Sturgis. RAPID CITY | Julia Lynn Broer, 59, died April 12, 2019. Services will be at 2 p.m. on April 16, at Canyon Lake United Methodist Church. PHILIP | Larry Neiderworder, 73, died April 12, 2019. Services will be at 10 a.m. on April 16, at the United Church in Philip. BLACK HAWK | Kevin Reed Hoffman, 60, died peacefully in his sleep on April 8, 2019, of natural causes. Kevin was born on March 2, 1959, in Rapid City. Kevin lived in Rapid City, Parkston and in Germany for two years, before settling in California for 30 years where he attended school and college. Kevin’s love for music took him to several states before making Rapid City his home in 1994. Though he was a flooring installer, music was always his passion. Kevin was a kind and loving person, with a heart for people. Kevin loved his Lord. Kevin is survived by his wife, Bonnie Hoffman of Black Hawk; three step-children, Stephanie, Tom and Nate; his parents, Don and Phyllis (Puetz) Hoffman of Black Hawk; a sister, Kristel (Rob) Hammerquist of Rapid City; his godmother, Sheryl Watkins; 13 wonderful aunts and uncles; over 50 first cousins; and many friends. Memorial services will be at 11 a.m. on Monday, April 15, at MidTown Church in Rapid City, with visitation one hour prior. Pastor Randy Phipps will be officiating. PIEDMONT | Brogan R. Johnston, 16, died April 9, 2019. Visitation will be from 5-7 p.m. on April 19, at the Church of Jesus Christ of Latter Day Saints–Canyon Lake Dr. Services will be at 10 a.m. on April 20, at the church. CHANDLER, Ariz. | Mervyn Altan Krebs passed away peacefully on Saturday, April 6, 2019, in Chandler. He was born Jan. 24, 1929, in Quinn, SD, to Alta (Melchert) and Herald Krebs. He grew up in Quinn and joined the U.S. Navy in 1951. After his discharge in 1954, he worked in Igloo, SD, then at Ellsworth AFB from June 1956 until his retirement on June 3, 1993. He married Corrine Cook in September 1958 in Rapid City, SD. He leaves behind his four children, Barry (Jenny) Krebs, Curtis Krebs, Jay (Sandra) Krebs and Dianne (Greg) Lemmon; his brothers, Donald (Shirley), Douglas (Gloria), Bartlette, and George (Alice); grandchildren, Lauren, Katie and Adam Krebs, Rachel, Nick (Natalie) Lemmon; great-grandson, Zachary Lemmon; and many nieces and nephews. He was preceded in death by his wife, Corrine; his parents; sisters, Zelda Van Ourkirk, Yvonne Henthorne, Evelyn Warren; and his brother, Leland. Mervyn always had time to help his family and friends out and was loved by all. He enjoyed fixing things, travel and time spent working in his garden. He was a collector of rocks, coins, stamps and everything else in the world. If there was something odd or unusual that you couldn't find or needed, you can bet it was stashed in his collection of everything. Funeral services will be at 10 a.m on Wednesday, April 17, at Zion Lutheran Church in Rapid City, with visitation one hour prior. Burial will be at 11:30 a.m. at Black Hills National Cemetery near Sturgis, SD. 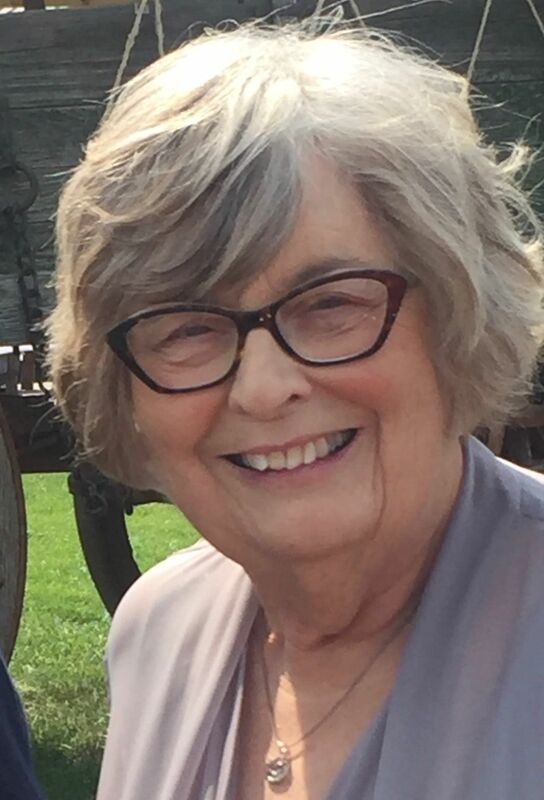 RAPID CITY | Ilene Sharkey, 78, died peacefully on Thursday, April 11, 2019, with family by her side. Ilene was born Aug. 13, 1940, in Windom, MN, to Walter and Myrtle (Johnson) Stevens. Ilene grew up in Windom, MN, and graduated from Windom High School in 1958, where she played trumpet in the high school band. Ilene graduated with a Bachelor of Arts degree in Music from Mankato State University in 1961 and married her high school sweetheart and love of her life, John Sharkey on Dec. 17, 1961. After John and Ilene were married, they managed motels in Kansas and South Dakota, eventually settling in Rapid City. John and Ilene raised two sons together, Howard and Brent Sharkey. Ilene thoroughly enjoyed her family, going camping and to the lake, bowling, travelling and of course music. Ilene served as the organist for Calvary Lutheran Church in Rapid City from 1968-2011. She was also the choir and music director for several years. She placed a high priority on church attendance and never missed a service often driving back and forth from the lake on Saturday evenings and Sunday mornings. She had seemingly endless energy and was always the first one up in the morning and the last one to go to bed at night. Ilene taught piano and organ throughout her adult life to thousands of people. She held a certification as a National Certified Teacher of Music for Piano and was a member of the Black Hills Area Music Teachers Association. She was also President of the South Dakota Music Teachers Association from 1991-1994. She was a member of the National Guild for Organists and won multiple national awards for her work in the field of music instruction. Ilene was a huge fan of her children and grandchildren’s interests and rarely missed a sporting event or activity. Whatever her kids or grandkids wanted to try, she was always a source of encouragement and their #1 fan. Ilene is survived by her children, Howard Sharkey and Brent (Cammy) Sharkey, all of Rapid City; nine brothers and sisters: Doris Ann Preston, Mankato, MN, Gerald (Betty) Stevens, St. James, MN, Darrel (Joyce) Stevens, Windom, MN, Maxine (Arvid) Bergee, Rancho Cucamonga, CA, Ronald (Karen) Stevens, Montevideo, MN, Neva (Richard) Pilgrim, Syracuse, NY, Larry (Becky) Stevens, Bingham Lake, MN, Carol Stevens (Bill Kay) Palo Alto CA, Roger (Belinda) Stevens, Mesa, AZ; three grandchildren, Taylor Rave, Danny Sharkey and Brandon Sharkey, and two great-grandchildren, Auburn and Blakelynn, all of Rapid City; and nieces and nephews too numerous to mention. Visitation will be from 5-7 p.m. on Wednesday, April 17, at Calvary Lutheran Church. Services will be at 2 p.m. on Thursday, April 18, at the church with Pastor David Piper officiating. Burial will follow at Mountain View Cemetery with luncheon following at Calvary Lutheran Church. Memorial donations may be directed to either the Music Teachers National Association Foundation (MTNA Foundation Fund) or the Alzheimer’s Association. Donations may be mailed to 4528 S. Canyon Road, Rapid City, SD 57702. Osheim & Schmidt Funeral Home is hosting her online register at osheimschmidt.com. HEREFORD, Texas | Vera Mae (Wolkins) Secrest died March 20, 2019, in Hereford. Vera was born May 25, 1925, in Tabor, IA. That same year her family moved to Gordon, NE. Vera met her future husband, Archie, when she was a freshman in high school and vowed to marry him, which she did on July 2, 1943. After Archie returned from World War ll, they moved to the Secrest’s ranch southeast of Gordon in the Sandhills, where two sons were born and raised — Wynn Howard (1947) and Randy Marshal (1950). After Archie passed in 1988, Vera lived in Nebraska, Texas, Colorado and South Dakota. Vera made a variety of friends wherever she lived. She was an avid card player and always seem to win. We were all pretty sure she cheated. She enjoyed bowling, feeding her family and passing that wisdom down to her daughters-in-law and grandchildren. Vera is survived by Wynn and Carolyn of Hereford, TX, and Randy and Marty of Bertrand, NE; grandchildren, Heath, Leonard, J.D, Bridget, Bo, Jessica and Kacey; several great-grandchildren; and her brother, Mitchell Wolkins of Alliance, NE. Also special in her life were Tyke Secrest of Rapid City, SD, and Bev (Ann) Schmitt of Phoenix, AZ. Graveside services will be held at 10 a.m. on Saturday, April 20, at the Gordon (NE) Cemetery. A luncheon at the Legion will follow. Memorials can be sent to American Legion Auxiliary/Kathy Easton, PO Box 201, Gordon, NE 69344. RAPID CITY | Alvin Gene Martin passed away on Tuesday evening, April 2, 2019, at the Bella Vista Care and Rehabilitation Center. Alvin was born on August 25, 1934, to John and Olga (Johnson) Martin. He drove over-the-road trucks for 50 years for firms in Lemmon and Rapid City. He had many great trucking friends that he always enjoyed sharing trucking stories with. Alvin spent a short time at the Bella Vista Care Center battling dementia. His family is forever grateful to their staff for the love and outstanding care they gave Alvin! He is survived by one brother, Dean Martin, Rapid City; three sisters-in-law, Edna Martin (Lowell), Rose Martin (Floyd) and Lillian Martin (John); and numerous nieces and nephews. He joins in heaven his siblings, Maynard Martin, Lowell Martin, Vivian Hulm, Roland "Bud" Marin, Eulala Hulm Lensegrav, John Martin and Verna Christman; and three nephews, Arlen and Monte Hulm and Lyle Hulm. Graveside services will be at 11 a.m. on Monday, May 20, at the Gallaway Cemetery near Meadow. Condolences may be sent through our website at evansonjensenfuneralhome.com. PHILIP | Marion Nelson, 95, died April 12, 2019. She was born to Roy and Harriet Marty on Aug. 9, 1931 in Hot Springs, and grew up on the family ranch southwest of there. She attended Marty School and Hot Springs High School, graduating in 1949. Harriet then attended Chillicothe Business School in Missouri, graduating as a stenographer. She worked at the V.A. Center in Hot Springs, and then at the Rapid City Medical Center. Harriet met Albert Wright from Ellsworth AFB in 1955, and they married on Feb. 17, 1956. Harriet loved spending time with family and friends, and also enjoyed the Black Hills, travel, music, animals, history, politics, reading and baseball. Harriet was preceded in death by an infant daughter and son, her parents, a brother and sister, her husband, and nephew. She is survived by daughter, Peggy Wright Bruns (Steve), of Longmont, CO, stepdaughter Linda Edwards of Mt. Zion, IL, grandson Travis Edwards (Goldie) of Decatur, IL, niece Marti Randolph of Westminster, CO, cousins and extended family. A funeral service (followed by lunch) will be held at 10:30 a.m. Monday, April 15, at Emmanuel Episcopal Church, with Reverend Virginia Bird officiating. Inurnment will be at 1:30 p.m. at Black Hills National Cemetery near Sturgis. Memorial contributions may be made to the Cornerstone Rescue Mission or the Humane Society of the Black Hills. An online guestbook is available at osheimschmidt.com. Vern E. Halvorson, 89 Maple Grove, Minn.
Mervyn A. Krebs, 90 Chandler, Ariz.
LONGMONT, Colo. | Marcia Doerr passed away March 23, 2019, in Longmont. She was born in Worcester, MA, and raised in Dudley and Webster, MA. She carried throughout her life the ongoing love of the east coast and particularly her fondness for seafood. She married Dr. Harold "Hal" Doerr and moved to Chicago, IL, where she worked for physicists in the Manhattan Project. Later, they settled in Grand Junction, CO, where they raised their children. Her enjoyment of all things equestrian was shown by the many years of horseback riding lessons she gave to her children and others. She was very knowledgeable and taught the finer points of riding hunt seat (English) and show jumping, This led to many years of enjoyment with her children traveling and competing in horse shows. In recent years she was fortunate to be able to live for a period of time in each town her children and grandchildren resided, allowing her to spend time with each child and grandchildren. She is survived by three children, four grandchildren, and four great-grandchildren. Her daughter, Janis M. Doerr, Colorado Springs CO; son, Harold A. Doerr, (Juli), Rapid City, SD, their children, Mike (Morgan), Kristen and Kyle (Erin); and daughter, Marion K. Mallard, Longmont, CO, and her son, Harry Lee Alles. She was preceded in death by her husband, Hal, and daughter, Marcia Anne. A longtime traveling companion and friend, Lee Phillips, also preceded her in death. Memorial services will be held at a later date in Grand Junction, CO.